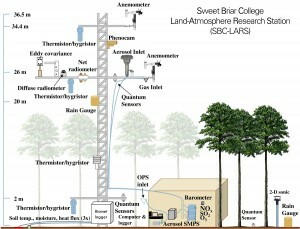 (click to enlarge) This schematic indicates the approximate location of all instruments. 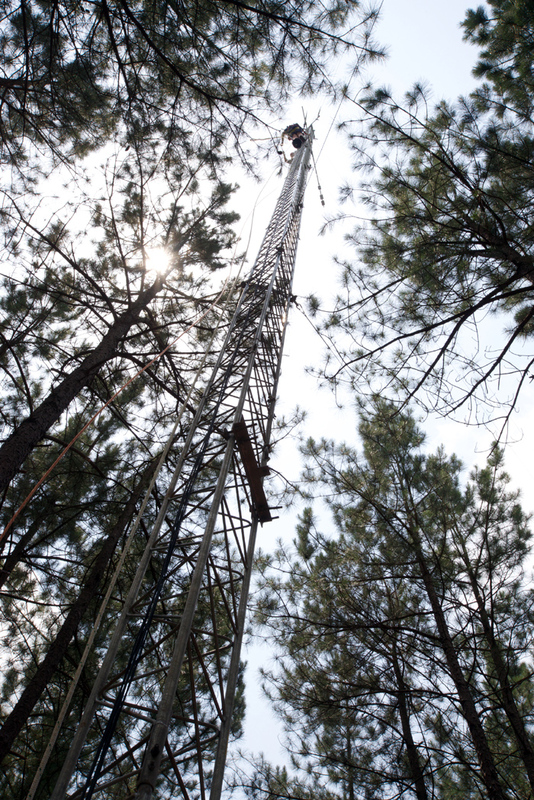 There are three primary instrument heights: below canopy at 2m, above the canopy near 26m, and at the top of the tower near 36m. 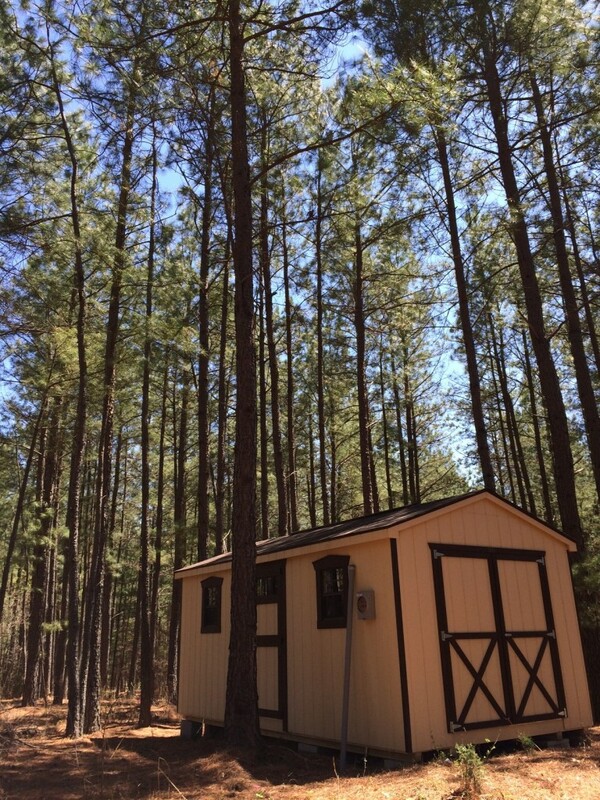 The original facility, the pine tower and lab, features a 36.5m (120′) triangular tower and a climate-controlled shed laboratory with line power and high speed internet. 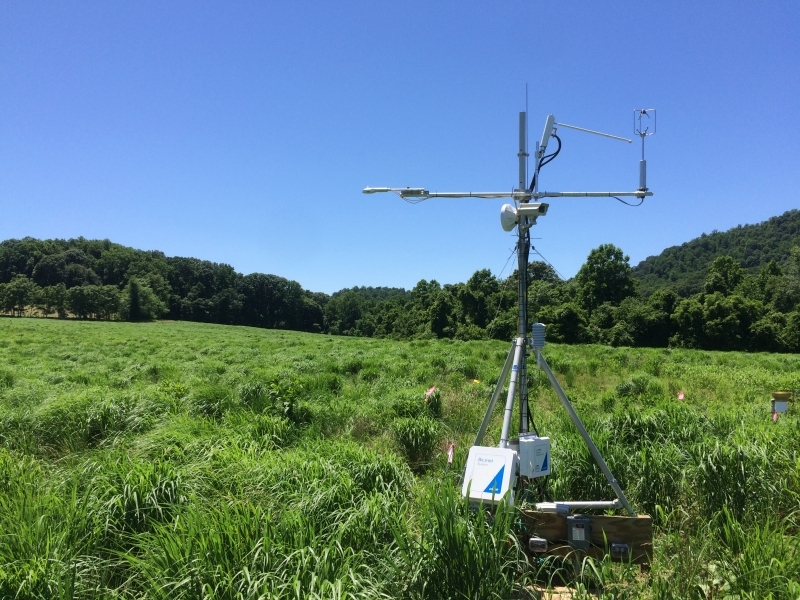 Beginning in April 2016, a second, smaller “tower” began running in a switchgrass field, just 1.5 kilometers from the pine tower. 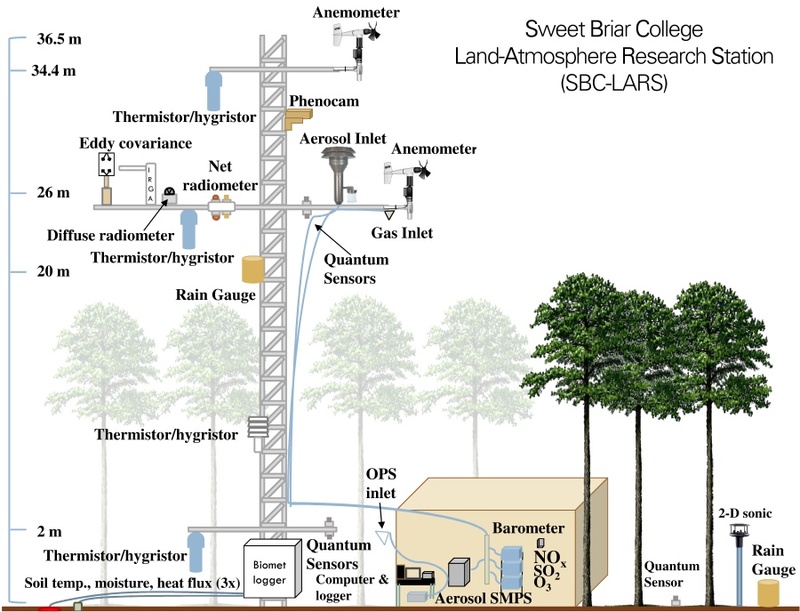 This facility features a nearly identical set of instruments as the pine tower, so that we can define the different ways loblolly pine and switchgrass remove carbon from the atmosphere and interact with climate.